Whether seeking adventure or something a little more spiritual, Thailand's second city is a great place to start. 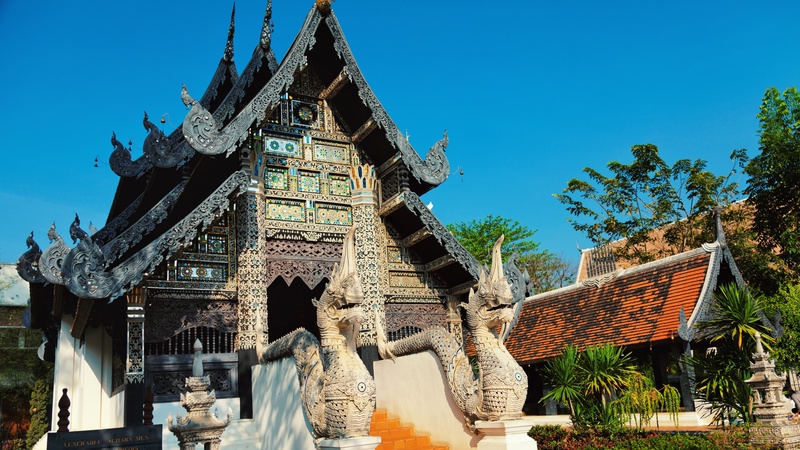 Chiang Mai means "new city," yet teems with historic, cultural, and natural monuments, each more breathtaking than the last! Here are a few. This 15-century temple lasted barely 150 years before suffering serious earthquake damage. What survives provides a striking image, made all the more marvelous lit up at night! There are two Wat Umong's in town. Be sure you're going to the one dedicated to the clairvoyant monk Thera Jan, in order to explore this iconic forest-temple's ancient tunnels. Of Chiang Mai's many elephant camps this is by far the most humane. The animals have mostly been rescued from poor captivity conditions and visitors are encouraged to help feeding! You'll likely find Chiang Mai's sacred peaks rather overcast, but it's precisely the cloudy conditions that have blessed Doi Suthep and Doi Pui with such rich plant- and bird-life. 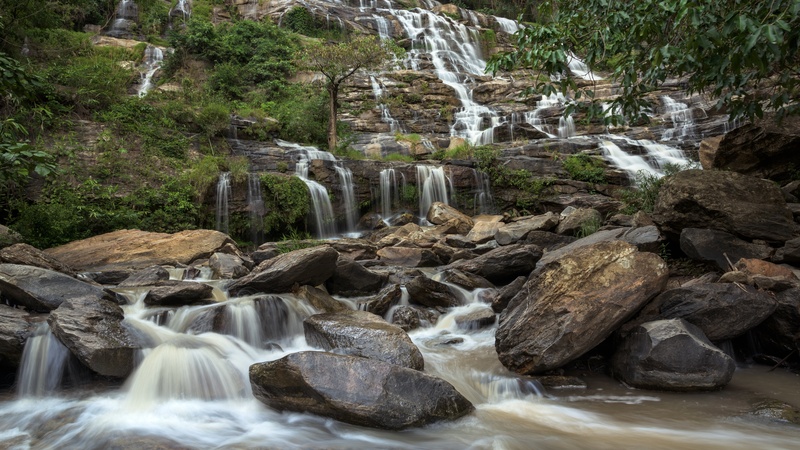 Doi Suthep mountain boasts more than just flora and fauna. The elaborate temple's revered seated Buddha statue is a coveted sight for pilgrims and sightseers alike. 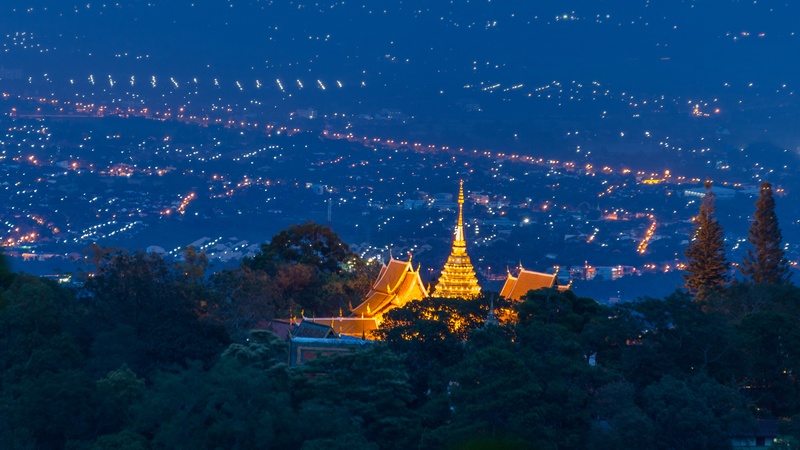 At the foot of Doi Suthep lies one of the city's best family attractions. If you're short on time, all the best enclosures are conveniently located towards the bottom of the hill. Established by Chiang Mai's founder, Phaya Mengrai, towards the end of the 13th century, Chiang Man is the city's oldest temple and a sightseeing essential. 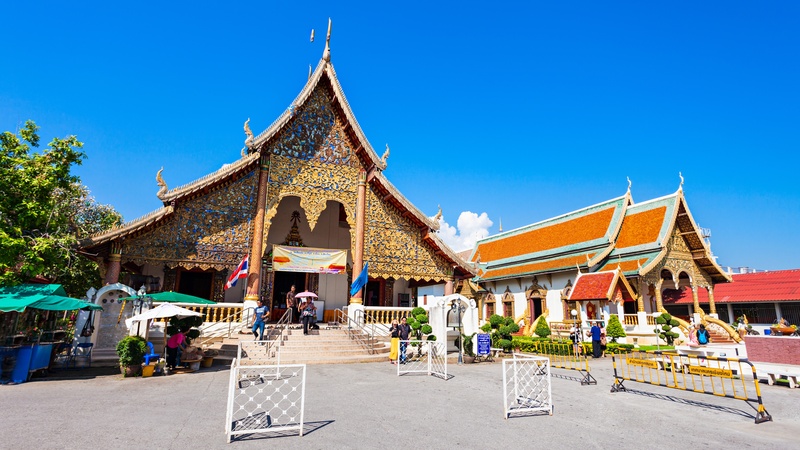 Otherwise known as Wat Suan Dok, the 14th-century temple is a favorite among visitors for its English-language meditation retreats and talkative monks! Thailand's highest mountain is a resplendent natural park that counts waterfalls, pagodas, and tribal villages among its many draws. We recommend planning a whole day to explore! Get up close to the animals at Chiang Mai Night Safari. Open both day and night, the zoo comes to life after dark. See all kinds of creatures, from big predators to more unusual animals. March, April, and May are Chiang Mai's hottest months, with November to January seeing the city's coolest temperatures. May to September is the rainy season, but despite its threatening name, is considered by some to be the best time to visit. If you can handle the odd, refreshing shower, you'll be rewarded with smaller crowds, greener countryside, and more active wildlife. Chiang Mai is cheap to visit and boasts plenty to do. You'll want to spend at least four or five full days there. It depends how you feel about rain! 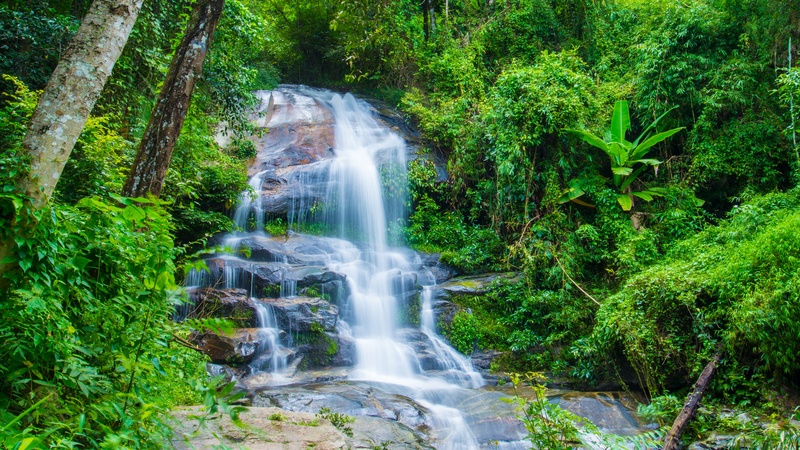 If you don't mind a refreshing shower here and there, May to September is an absolutely wonderful time to visit Chiang Mai. 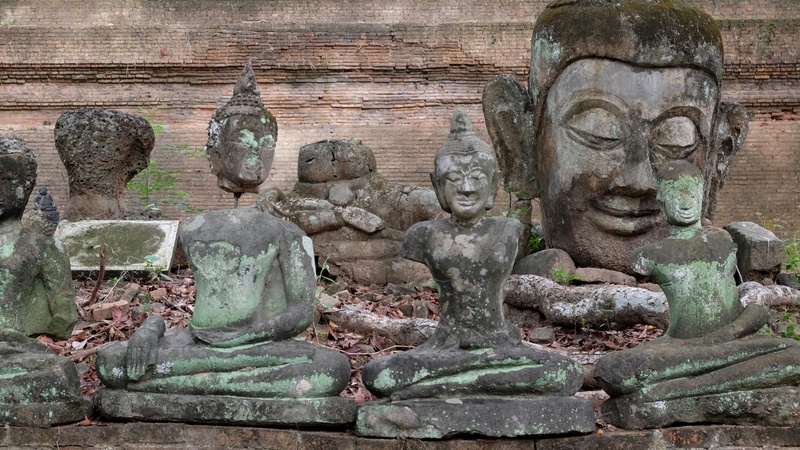 Want to discover all there is to do in Chiang Mai? Click here for a full list. Great experience getting up close with these gentle giants! A must do! This was definitely the highlight of our trip to Thailand. It’s such a fun day! We started off by playing with the elephants. We then fed them and jumped in the river with them, giving them a mud bath and wash. We also made vitamin balls for them. We were very lucky as we were the only ones on the morning tour, so we had all 5 elephants to ourselves! Our guide (Mai) was superb at explaining everything and even arranged transport to our next activity! We brought a change of clothes but you don’t need this as full uniform is provided including shoes, you’ll only need a change of underwear as this will get wet and muddy in the river. Even soap is provided. The half day tour is just the right amount to fully enjoy and not get bored. This is a must do when in Thailand and I am glad I left this for last as it was certainly the highlight of our trip. This was probably our best tour ever! Excellent Guide and Ride - Well Worth Doing! Good bikes - already set up to my height and didn't have to adjust the seat. Our guide was Anh and she was terrific, giving full information on all the sights we were taken to. She also included an extra sight when one of our party of three requested it. Riding a bike in Chiang Mai might seem daunting but Anh guided us through it all and at no time did I feel in danger. Well worth doing at a very reasonable price. Excellent tour. You won’t be disappointed if you Woody is your guide. All expectations were exceeded. Awesome time with great people. Elephants were taken care of well so that was a bonus. It was a fantastic experience learning a little about the elephants. The visit with the elephants will be one of the most memorable moments of my life. There were only twelve of us who fed, bathed and gave vitamin balls to five rescued elephants. The elephants pretty much roam free controlled only by their mahouts vocal commands. It's obvious the elephants are very well taken care of. Our guide was very knowledgeable and taught us the elephant's names and personalities. We also learned some of the common vocal commands that we could try while we there. Literally the most touching experience was petting their trunks and telling them they were a good girl ("dee dee"). I would highly recommend this experience. An excellent tour, with an excellent guide and driver. An excellent tour, with an excellent guide and driver. Very informative and enjoyable. Thoroughly recommend this tour to visitors to Chiang Mai.